According to a research conducted by Gartner, by 2020, more than half of the major new business processes and systems will incorporate some element of the Internet of Things (IoT). Citing the vast demand expected to build up in the near future many new players enter the already crowded market with solutions and services that promise only the best. However, there are a few market gaps, especially in developing economies like India, which are holding back the IoT revolution from gaining widespread acceptance. The CEO of Hyderabad based Techuva, Sravan Reddy, speaks of these gaps and underlines how his company is filling them. Many IoT companies slam their solutions or services on organizations without truly understanding the unique business needs of a particular client and most of these offerings come in just ‘one size’. 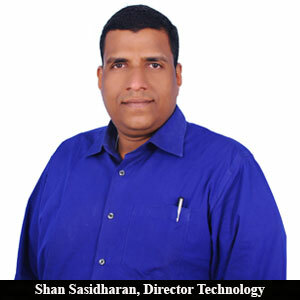 But Techuva makes an effort to understand a client’s entire process and adopts a customer-centric approach in extending its IoT services at prices lower than what most of the high-end solution providers quote. Most importantly, he stresses, that most players in this space opt to provide only the IT or equipment part of IoT solutions. 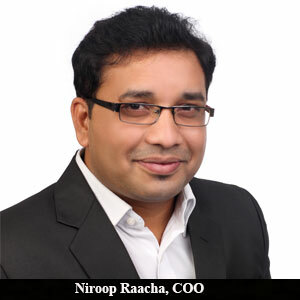 “But we realize the importance and demand for full stack IoT solutions and thus have developed our solutions to accommodate both the aspects,” says Niroop Raacha (COO). The defining moment for the company’s current market posture came from a client interaction. The customer, a mushroom cultivator, wanted a full stack IoT solution to track environmental parameters and ensure optimal growth of the mushrooms. Expanding beyond its IT service, Techuva devised automated solutions which allowed the client to track humidity, temperature, and CO2 in real-time via sensors placed into the mushroom-growing system. Apart from private entities, the company also works with government bodies and to highlight one such success story, Raacha points toward offering low-cost IoT solution to a particular municipality to manage its sewage system. After a proper analysis of the underground sewage system, Techuva developed a long-lasting infrastructure to give the best of its services. The company designed low-power consuming devices that relay information on underground water level to enable the users to avoid any emergency condition. Techuva has built a team of engineers who carry the experience of around two decades in the telecom industry. After years of research, development, and working with several clients, the team has identified its potential area and is continually working on developing its services. Moreover, the company is now working on building solutions for improving indoor and outdoor air quality and energy monitoring and has partnered with companies in Singapore for the same. To further contribute to the rapid advancement of the IoT industry and to cater to more organizations, Techuva is expanding its geographical presence, primarily in North America to work with major telecom solution providers.